4. 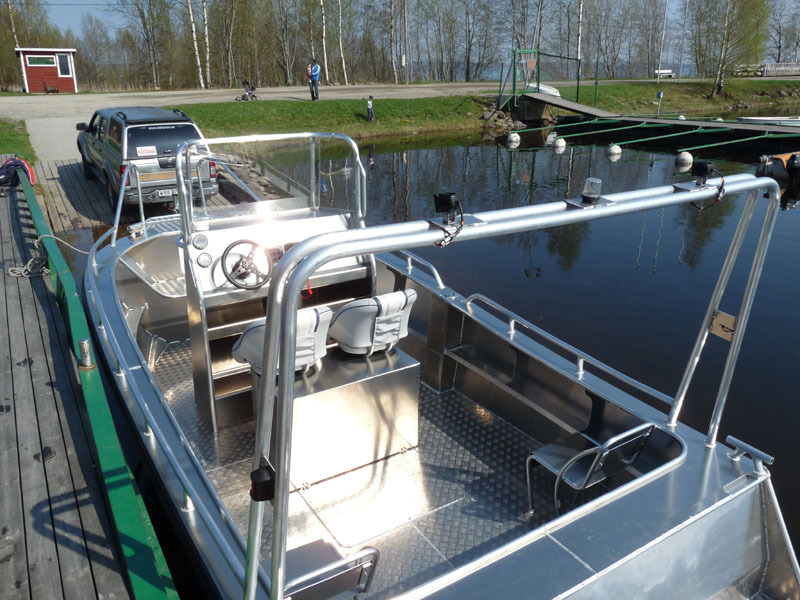 The hull itself is 18 feet long, 20 feet including the engine bracket/swim platform. 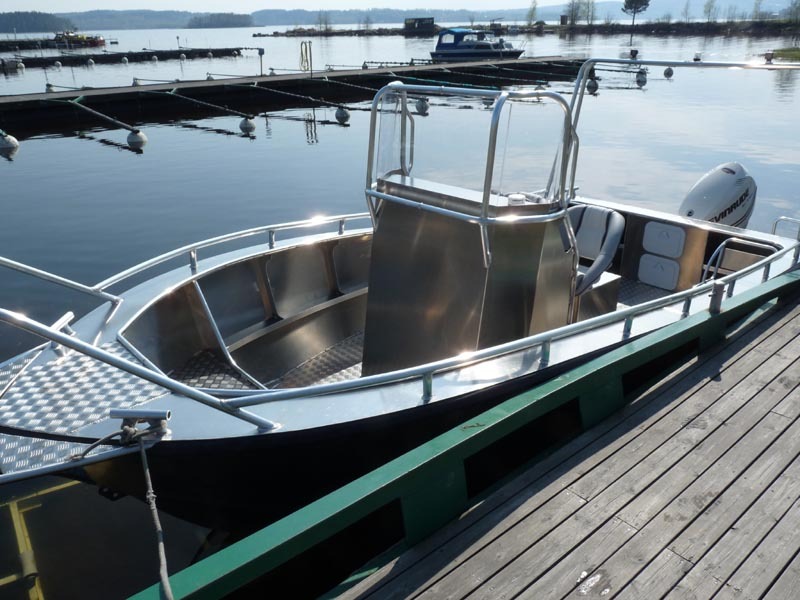 Including the outboard engine, the boat is just under 22 feet long. equipped with an upgraded, wide, double console, without a top. 2. 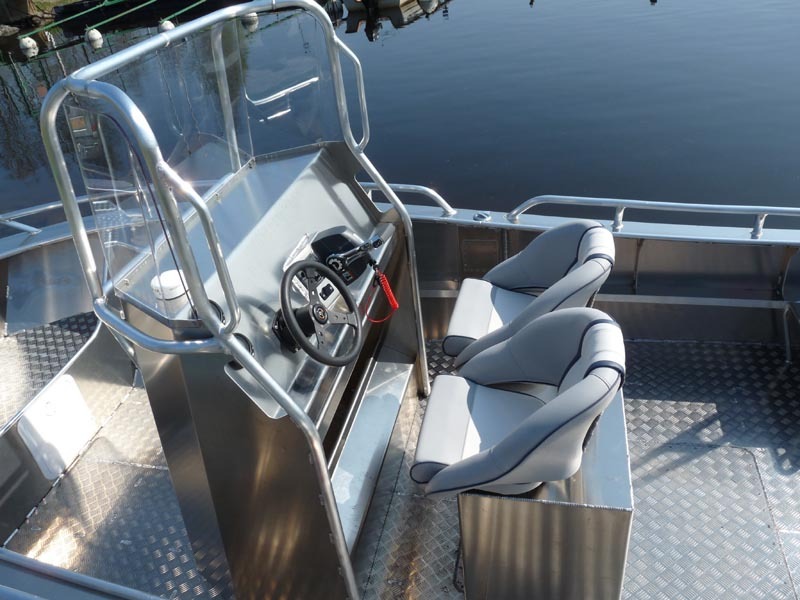 Recommended power for this hull is from 50 hp to 150 hp, single or twin installation. 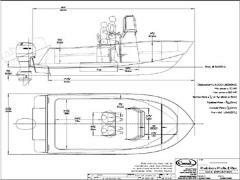 for boats under 20' in length.